When George Lucas ruined your childhood because of his own peccadillos, Harmy's restoration of the Original Triology in this Despecialized Edition will warm your heart. Click it to discover a whole new world. Lost Stars... Where Twilight meets Star Wars. Enough said. I read it just to find out why that Star Destroyer crashes on Jakku. This book chronologically starts with pre-Star Wars A New Hope and ends after The Return of the Jedi. This one wasn't as awful as the reviews make it out. Listen to it on audiobook and it's fine. The ending is not as great as it should be, but it's probably because they are setting up for more. This book starts right at the end of Return of the Jedi. This is a book about a video game about the movies. Yes! But it is good. 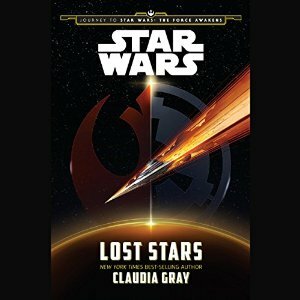 It gives you a grunt's eye view of the Rebellion and is a great audiobook. This sets up the Star Wars REBELS cartoon show and is a good back story. The guy with the lightsaber was the last Padawan, with his Jedi master being killed by the Clone Troopers. This will lead into the Rebellion, as the green woman here is helping gather resistance fighters. Good stuff. A buddy comedy. The Emperor and Vader get stranded on a planet that yearns to be free of Imperial rule. This book's anti-Emperor protagonist is the daddy to Hera, the green girl above and in the Star Wars REBELS cartoon. It seems like everything is a prequel these days. Oh well. It's a fun story of Vader slaughtering things and the Emperor being all manipulative, but of Vader.